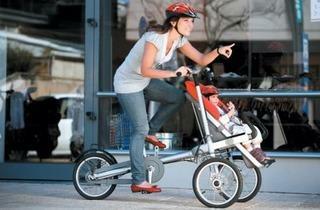 Popping your kid in a bike trailer or pushing him or her in a stroller is so last century. 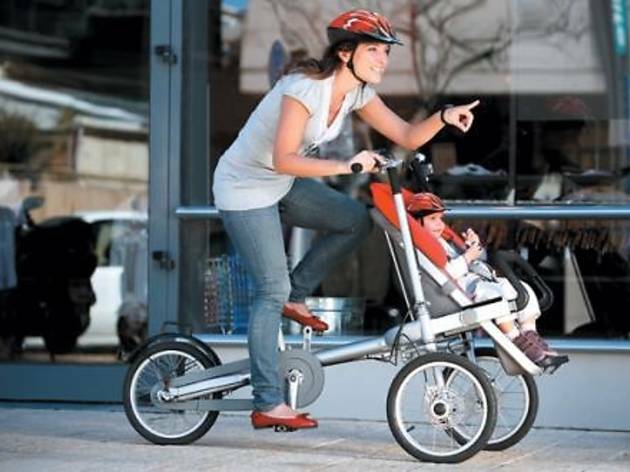 Dutch company Taga’s supercool-looking three-wheel carrier bike converts from a bicycle with a front child seat to stroller in under 20 seconds—really, we tried it. The price tag is a steep $1,500, but this multi-functioning beaut holds kids from six months to five years old and has all the bells (literally), whistles and brakes of a solid bike and stroller. Add-ons such as a second seat, car-seat adapter, rain cover and shopping basket start at $35. Available at tagabikes.com.